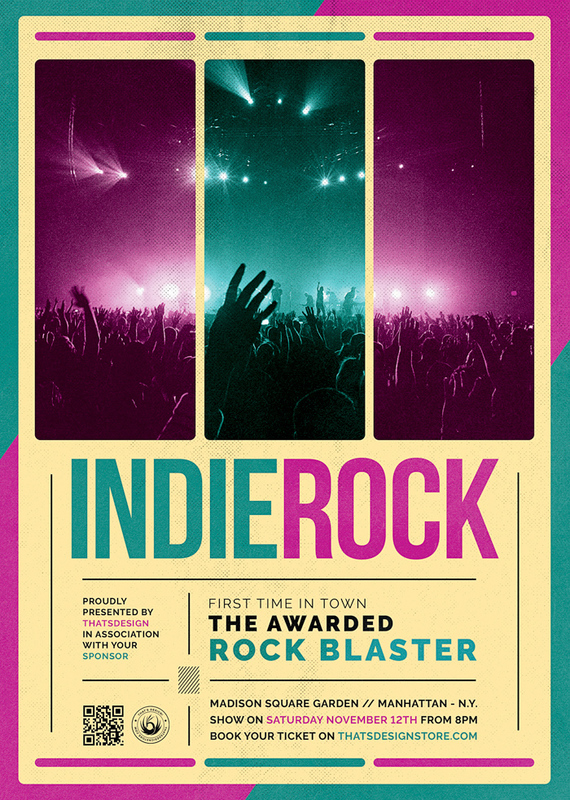 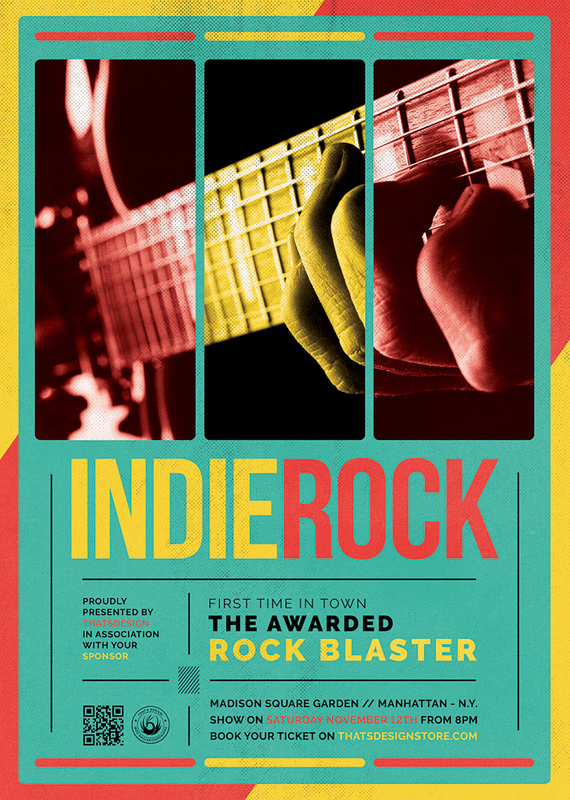 Check out this Indie Rock Flyer Template psd Volume 2 was designed to promote an Indie music Band, or any Concert, Electro, Dubstep, Alternative, Pop, Urban music band event. 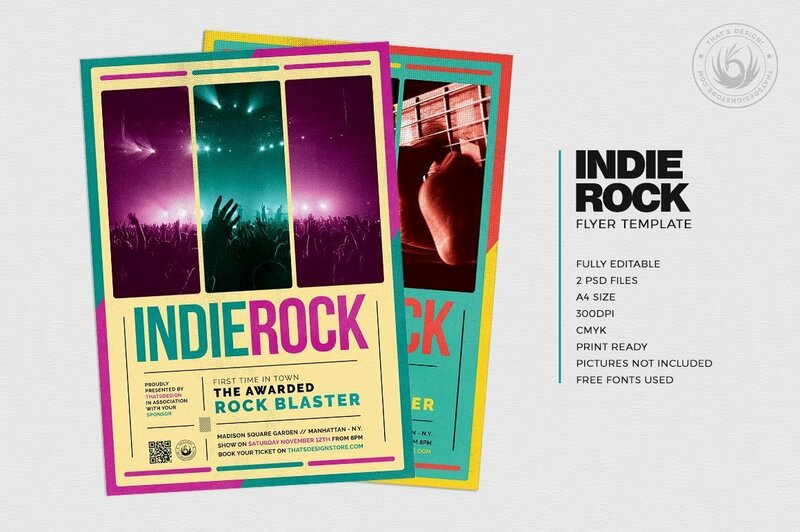 Customize your Photoshop psd indie flyer template easily. 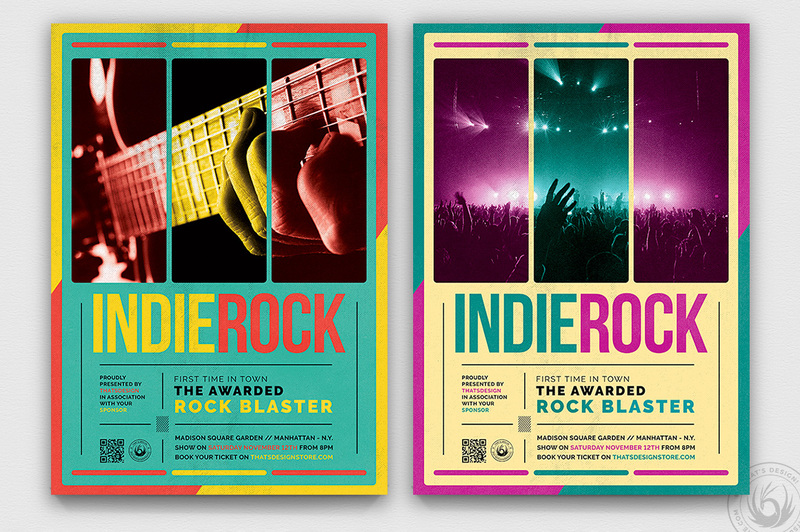 Also join us on thatsdesignstore’s Facebook Page to browse the novelties as we add fresh flyer templates every day!